Does your car have dependable stopping power? If the brakes are squealing or grinding, stop by Wayne's Auto Repair for brake service. In Powell, OH, we put a stop to brake problems by providing brake repair and replacement. Whether your brakes are mushy or they grind when you press the pedal, we have the skill and quality car parts to perform reliable repairs. Don't put off brake service. Doing simply creates more problems down the road. At the same time, it is also dangerous. A failing brake system is something you don't want. Let our ASE mechanics provide a comprehensive brake inspection. We repair and replace brakes for all makes and models, both foreign and domestic. Nothing last forever - especially your car's brakes. Along with your tires, your brakes undergo wear and tear on a regular basis. After all, these small pads must be able to stop thousands of pounds of force at a moment's notice. Because your car's braking system is rather complex, the issue could relate to any number of issues too, not just your pads. When Is It Time for Brake Replacement? Squealing brakes are warning signs that your vehicle needs brake repair or brake replacement. Most brake pads have a thin layer of material on the pad, which is a built-in indicator that alerts you when your brake pads need to be replaced. So, if you hear an annoying sound when you press the pedal, don't ignore it. It means your car is trying to tell you something. 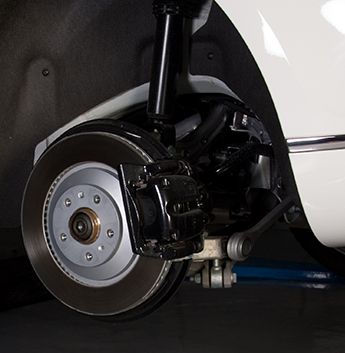 At our auto shop, we replace brake pads, drums, and everything related to the braking system. Enjoy safe driving and eliminate the noise by depending on us for brake replacement. Your rotors can only take the heat and pressure for so long. After a while, you'll need to resurface them. If there is extensive damage, we will have to replace them. Still, most of the time, your car's rotors can be "turned" to minimize warping and correct damage. Let us inspect your rotors to determine their condition. If they are in poor shape, we install new rotors to ensure reliable braking and smooth driving again. Contact us to schedule a brake inspection for your vehicle. We proudly serve customers in Powell, Lewis Center, Delaware, and Dublin, Ohio.